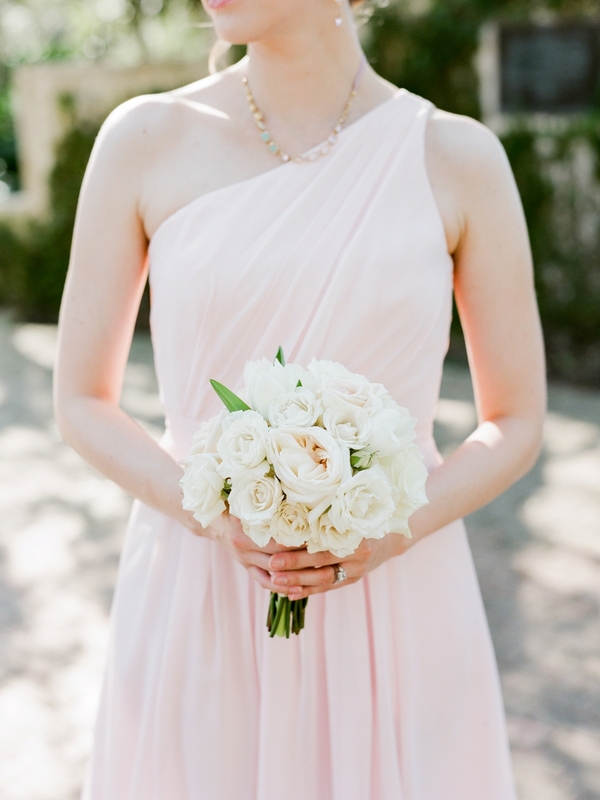 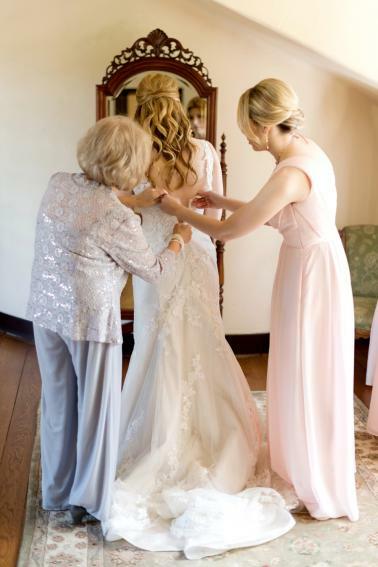 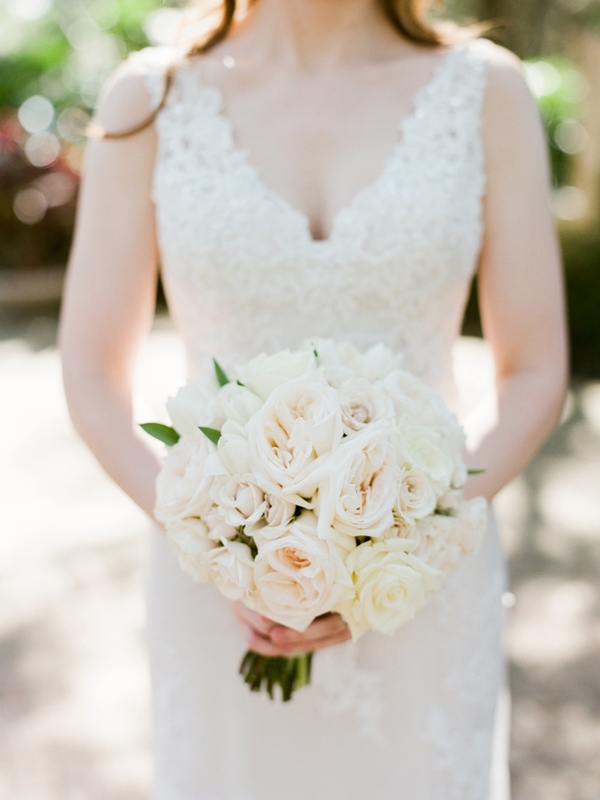 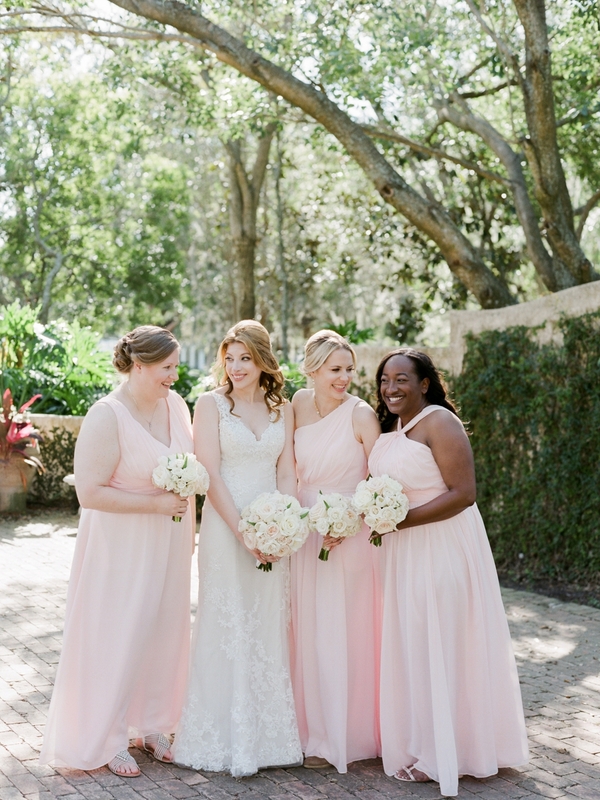 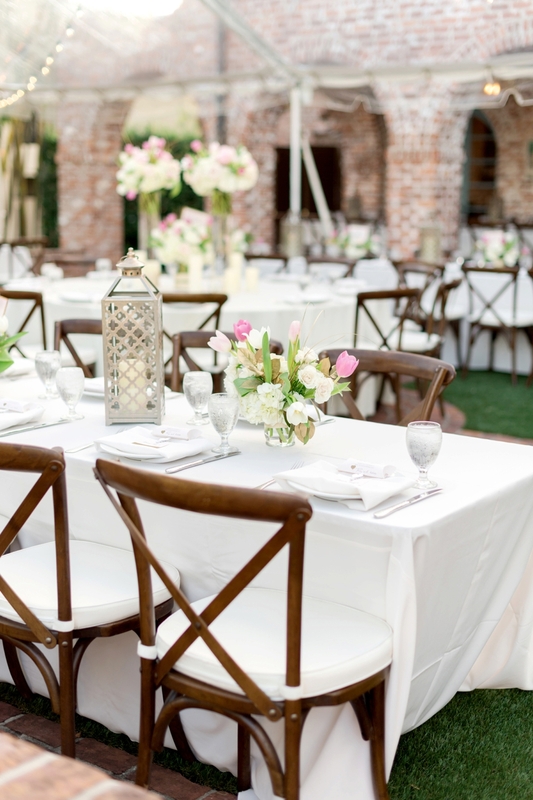 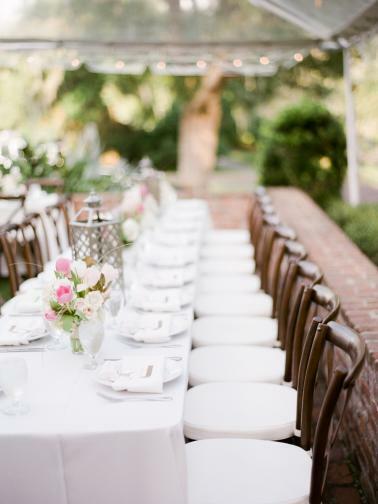 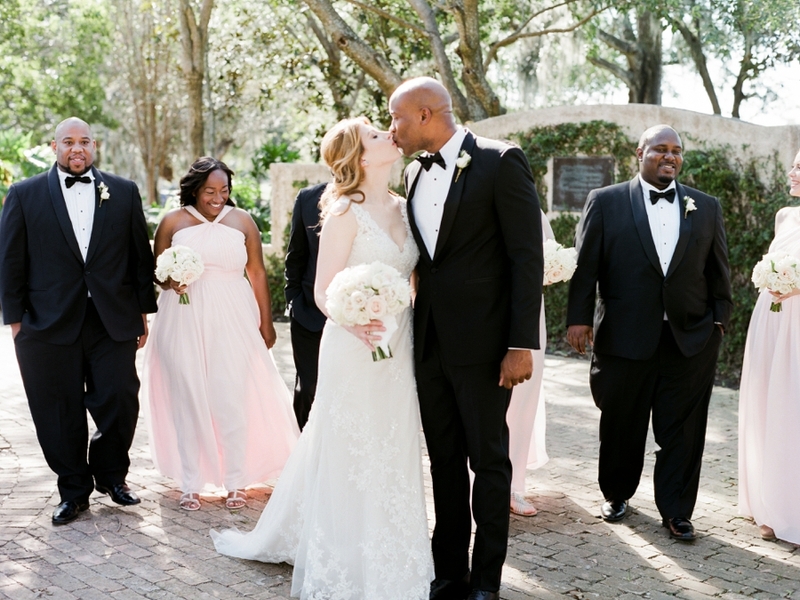 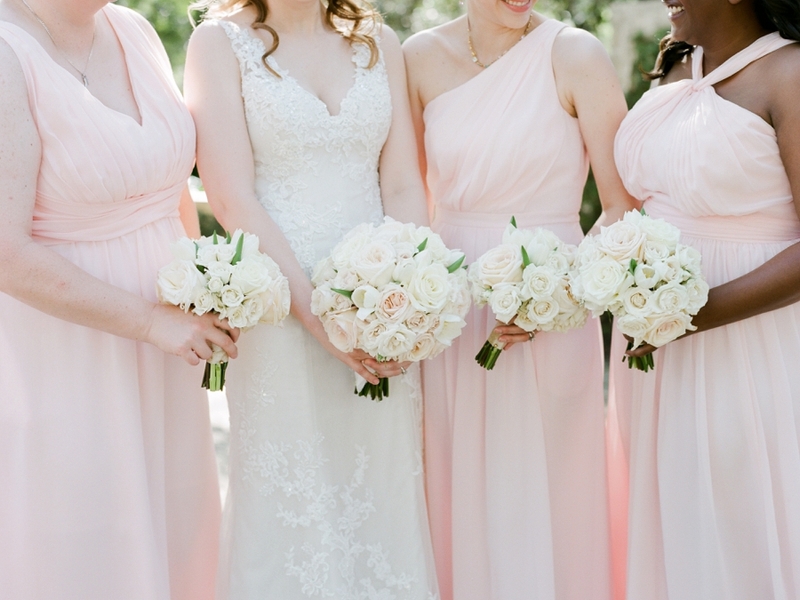 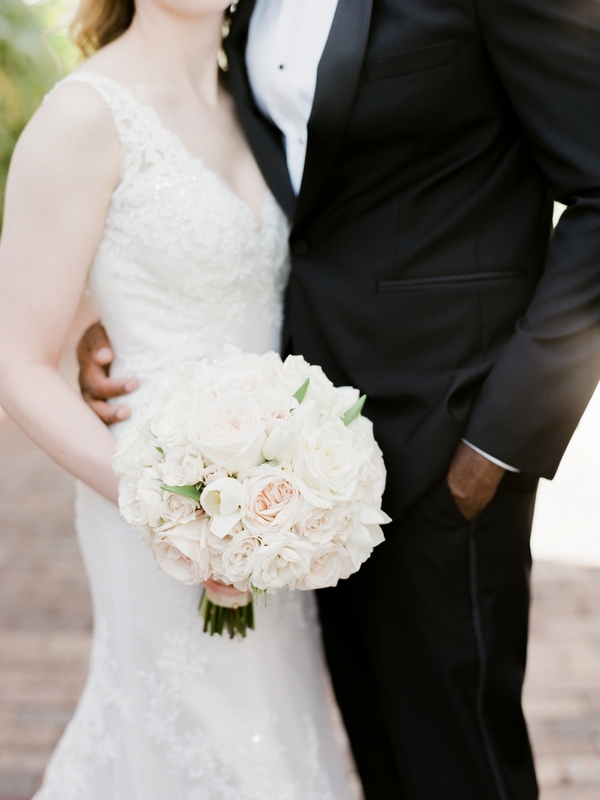 Simple elegance was the theme for this romantic pink and white Florida wedding captured by one of the best, Kristen Weaver Photography. 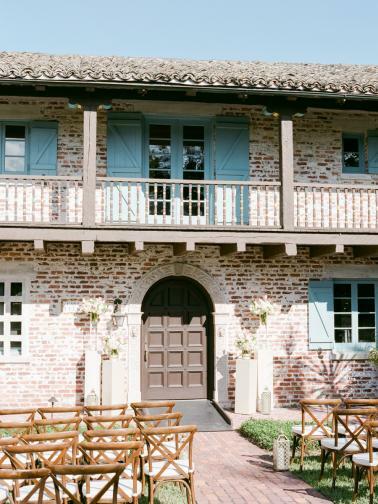 Casa Feliz was the perfect backdrop for this couple’s I do’s, giving an old world feel with lots of character, exactly what they were looking for. 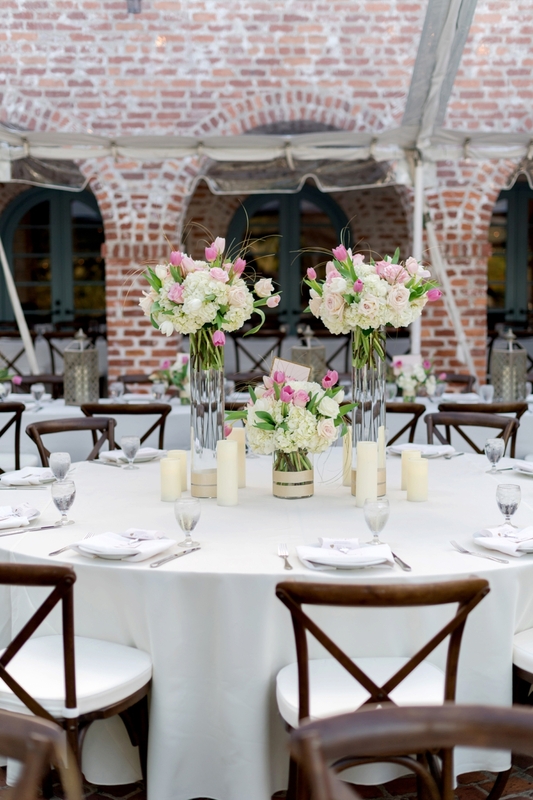 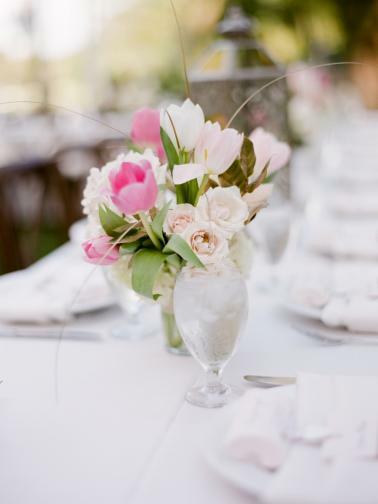 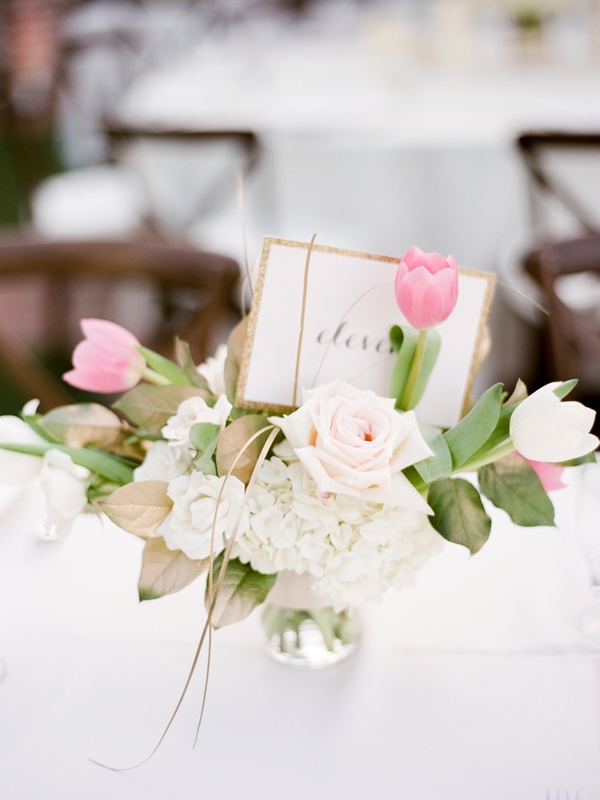 They kept the details classic, with pops of pink tulips for the centerpieces by Fairbanks Florist and lanterns to the decor. 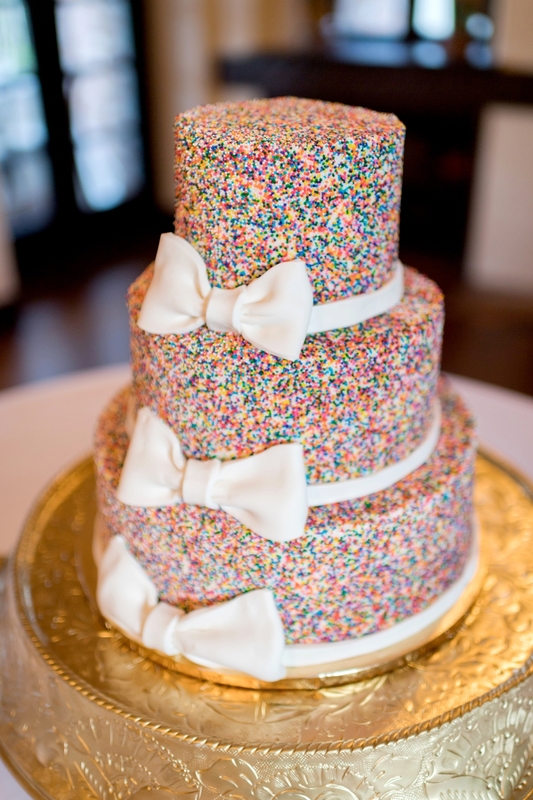 The bride loves sprinkles, so obviously a sprinkle covered cake was a must! 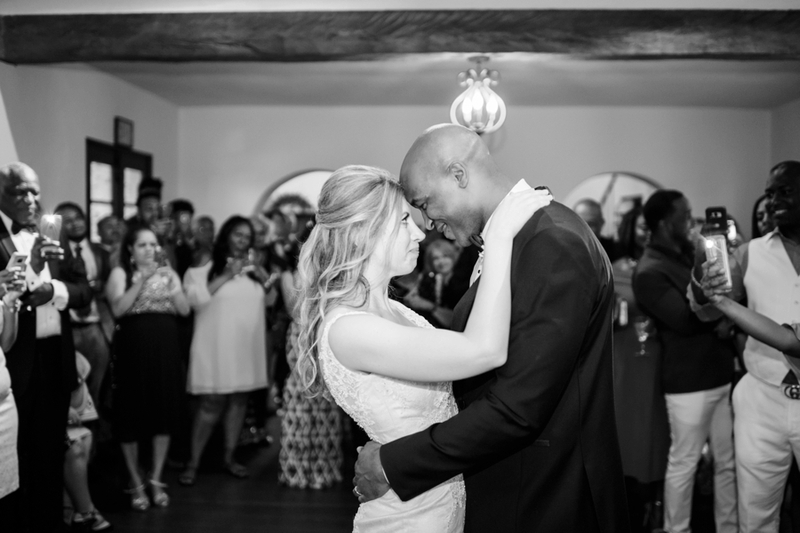 The end result was the couple’s goal: one big fun party! 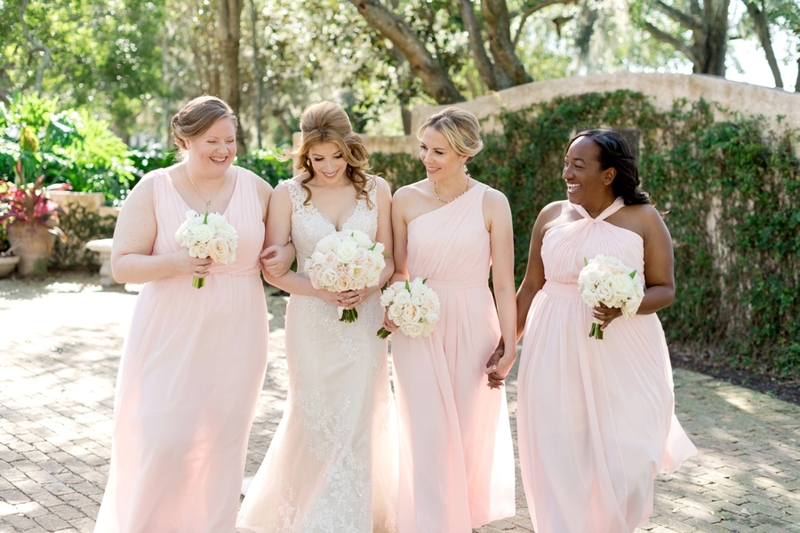 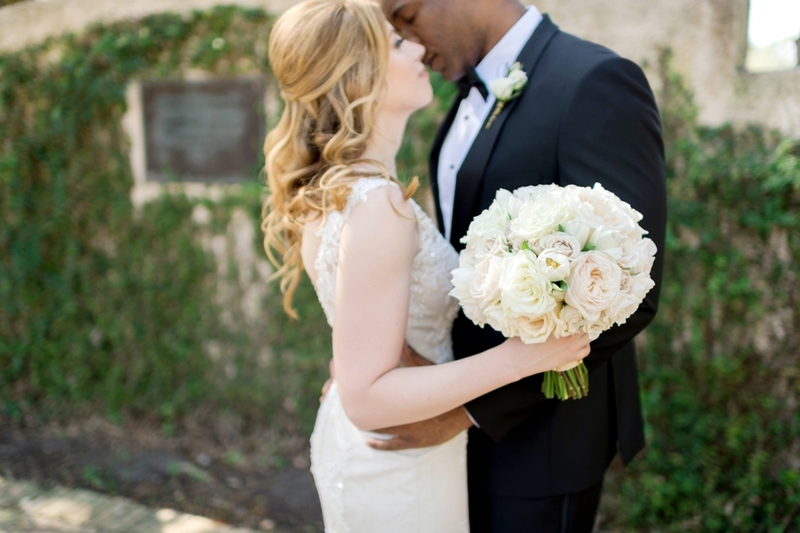 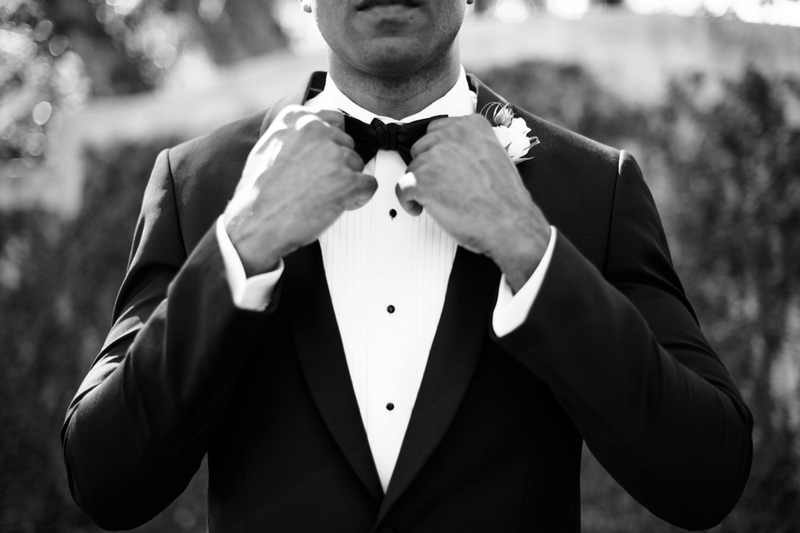 Tell us a little a bit about your wedding (your vision, color, style, and location choices). 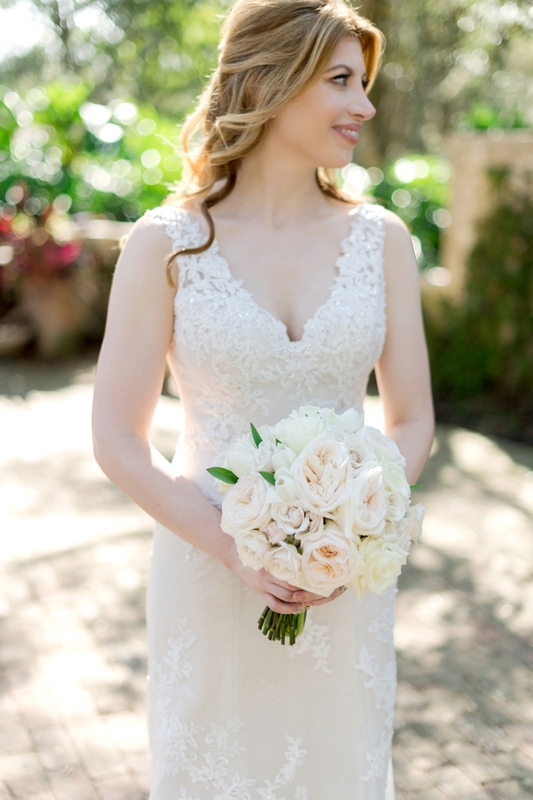 Until we got engaged, I had never really thought about my wedding. 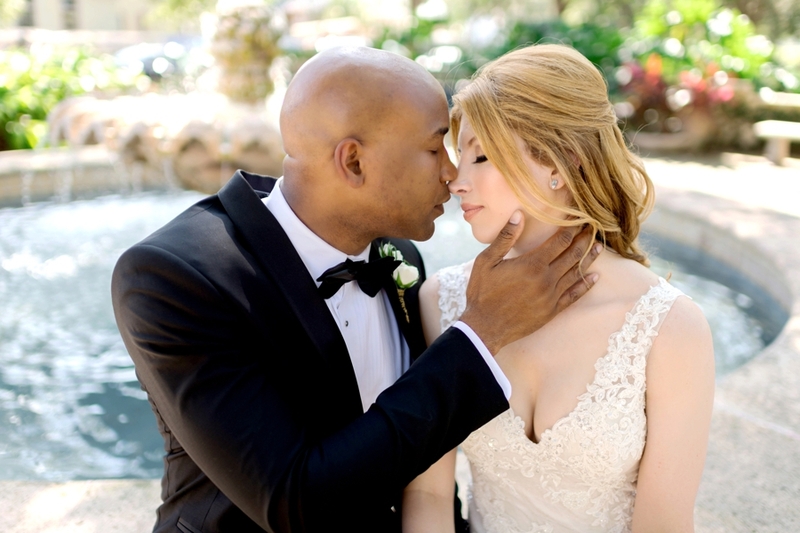 Everything came together in 10 months. 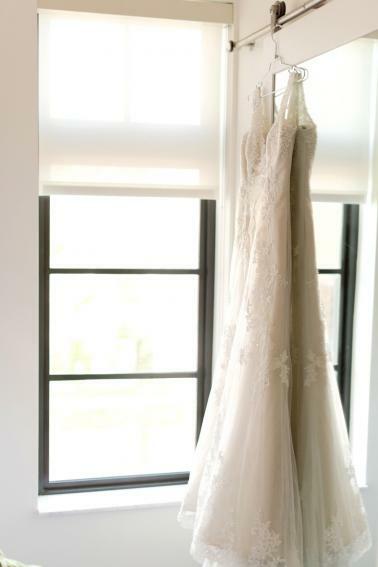 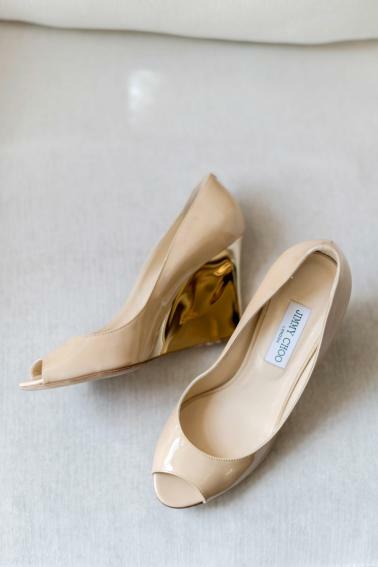 I knew I didn’t want anything traditional – no church, no ballroom in a hotel, no veil, and no garter toss. 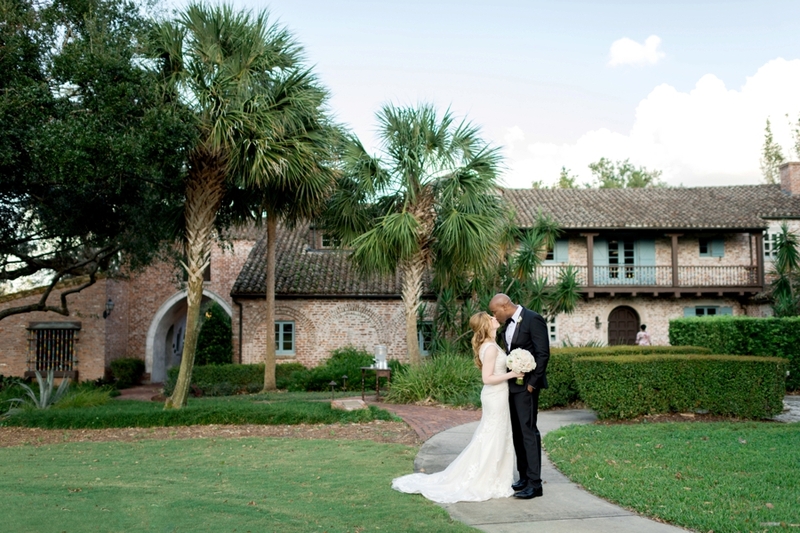 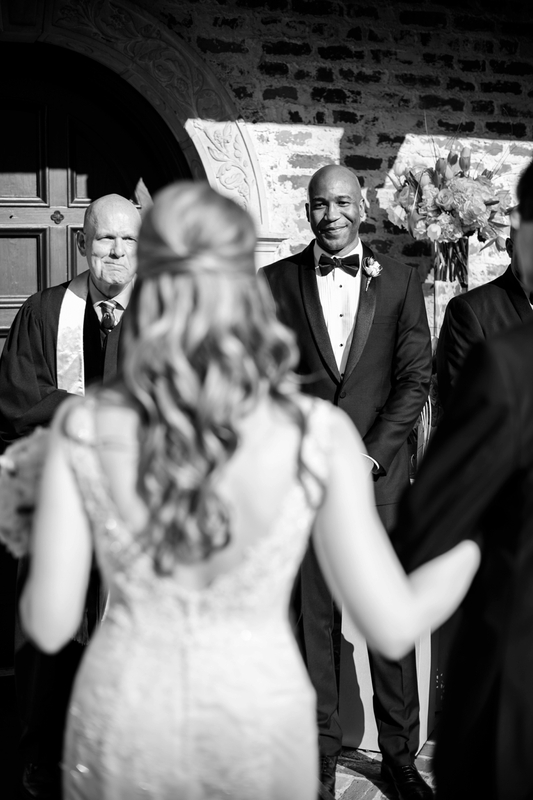 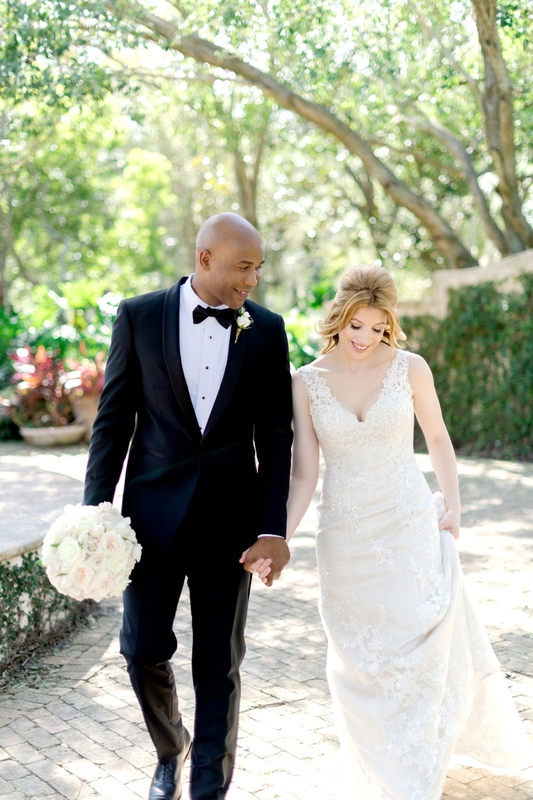 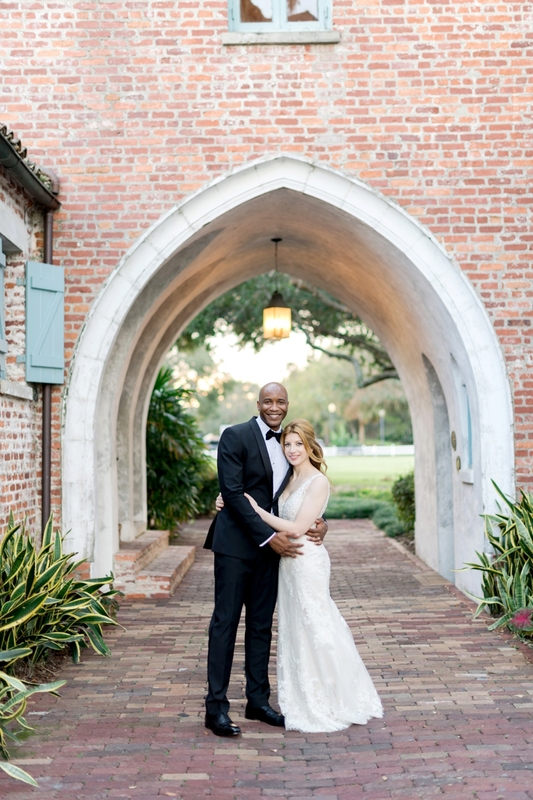 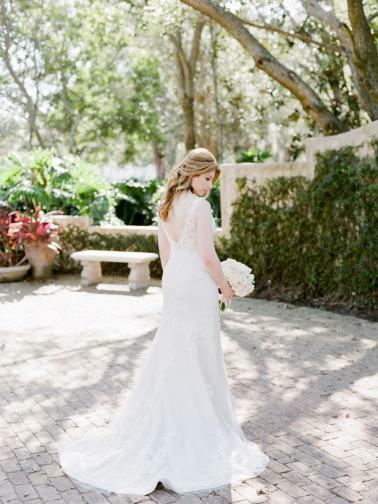 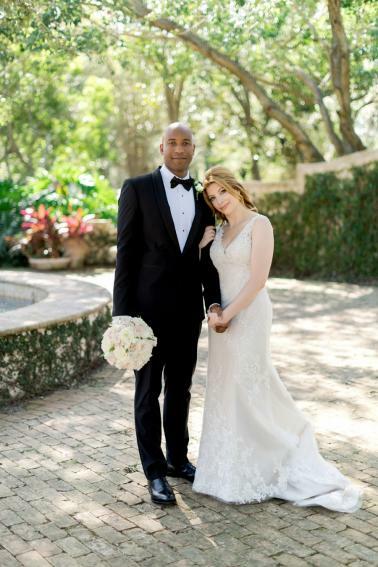 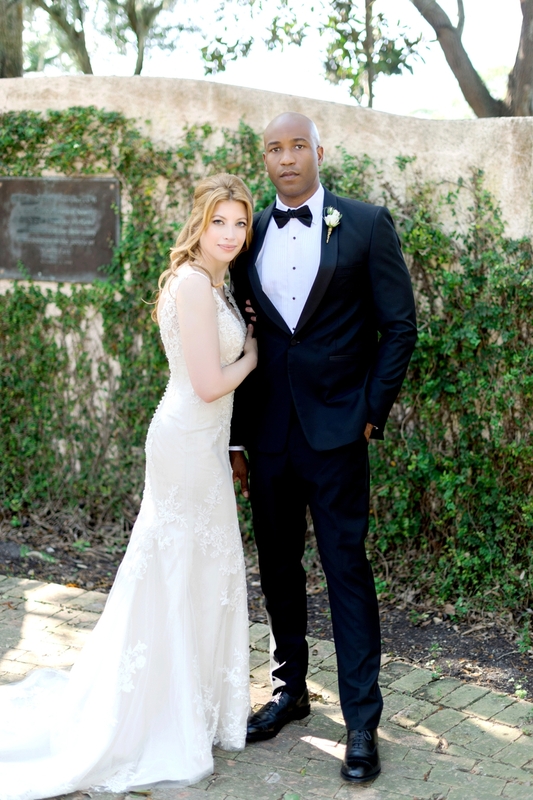 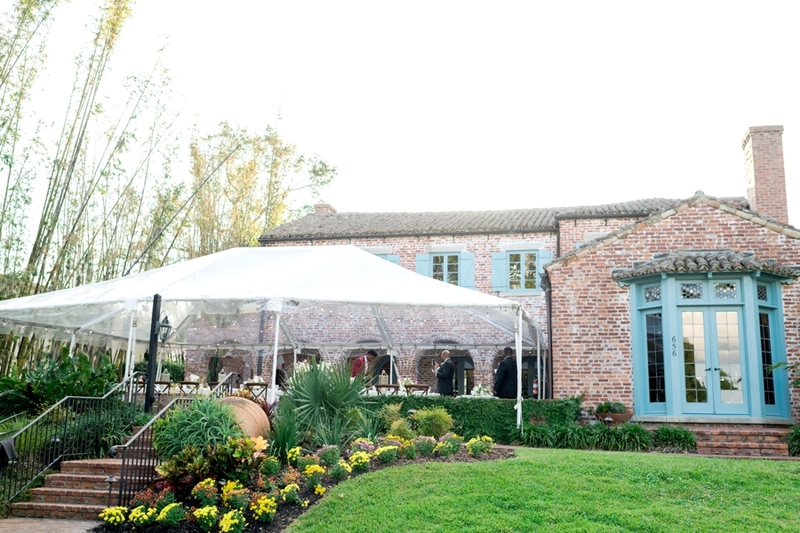 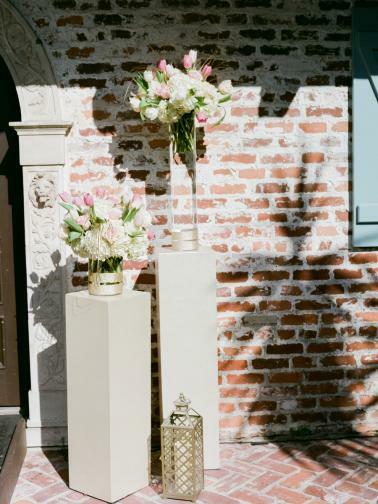 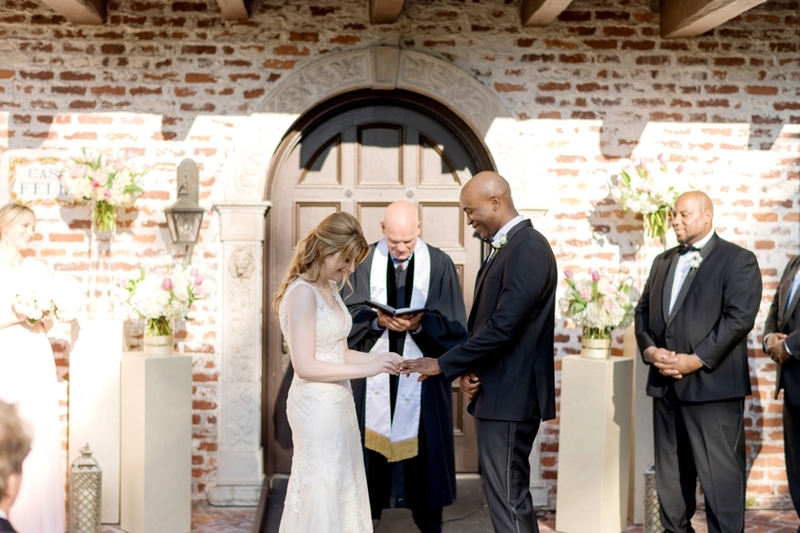 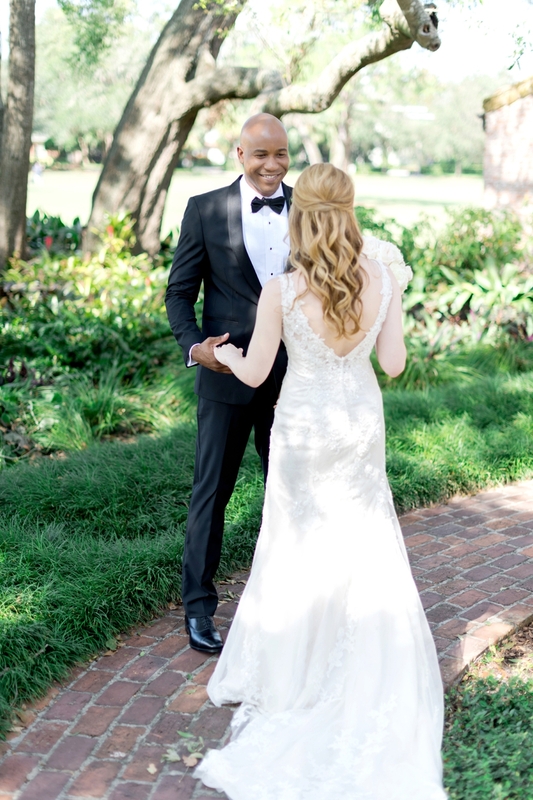 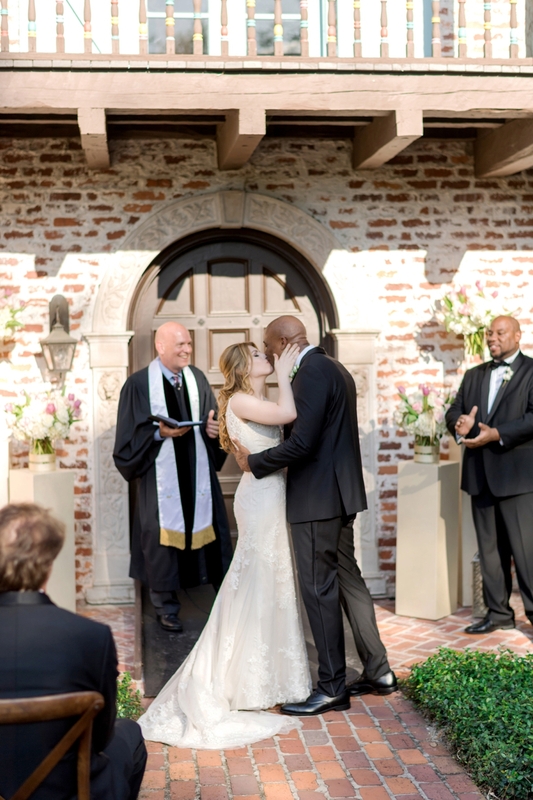 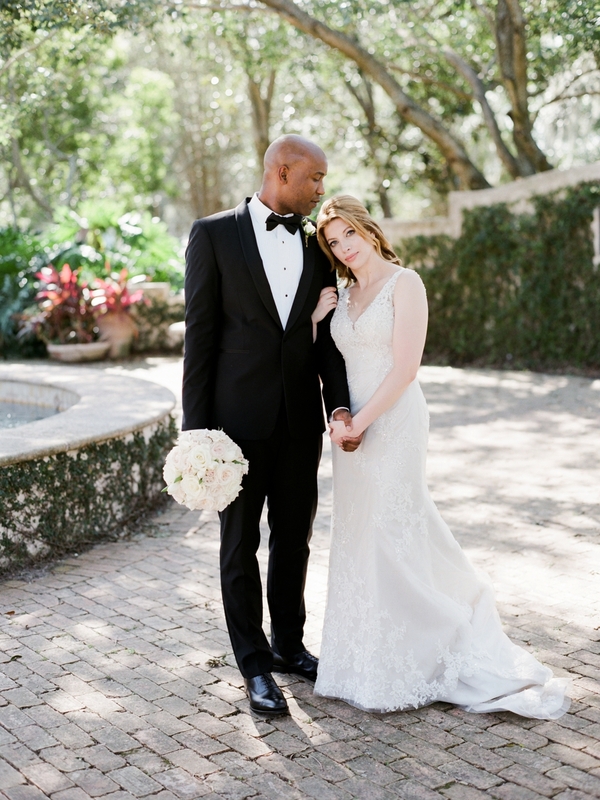 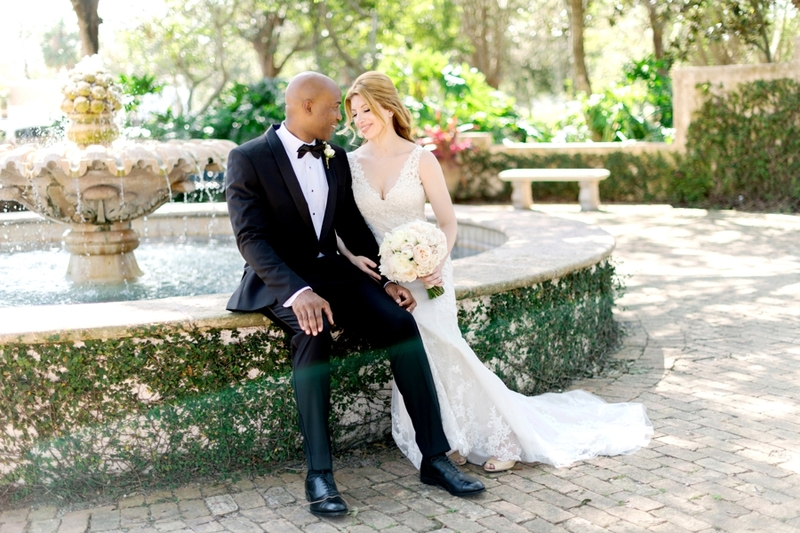 We wanted to get married in the place where it started for us – in Central Florida – and when I saw pictures of Casa Feliz, it was breathtakingly beautiful. 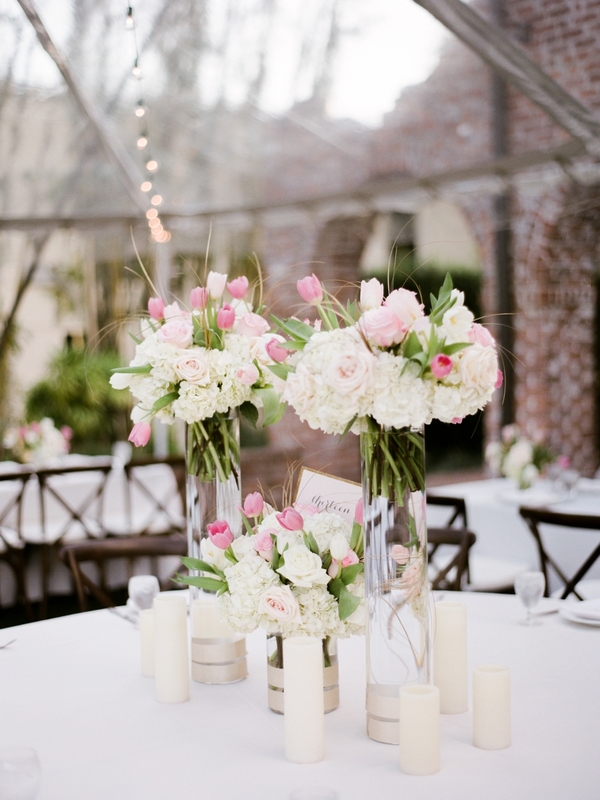 Simple, simple, simple was my general theme. 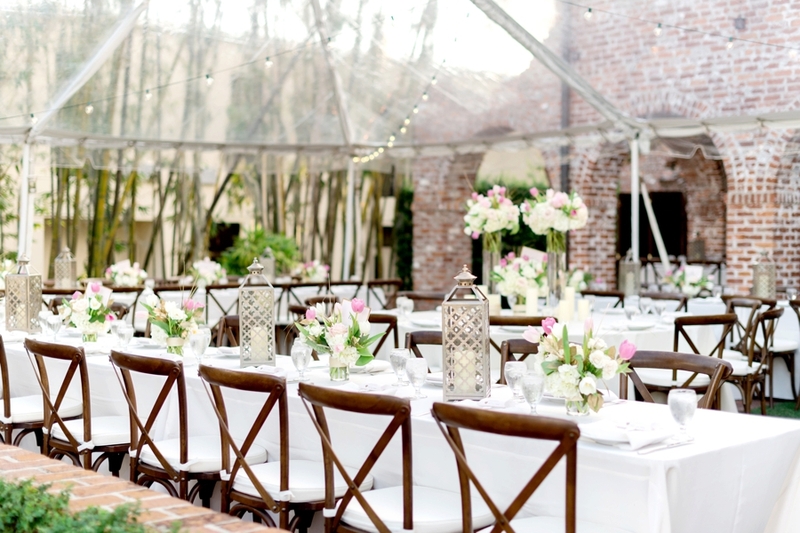 We just wanted to throw a big, casual party for our friends & family. 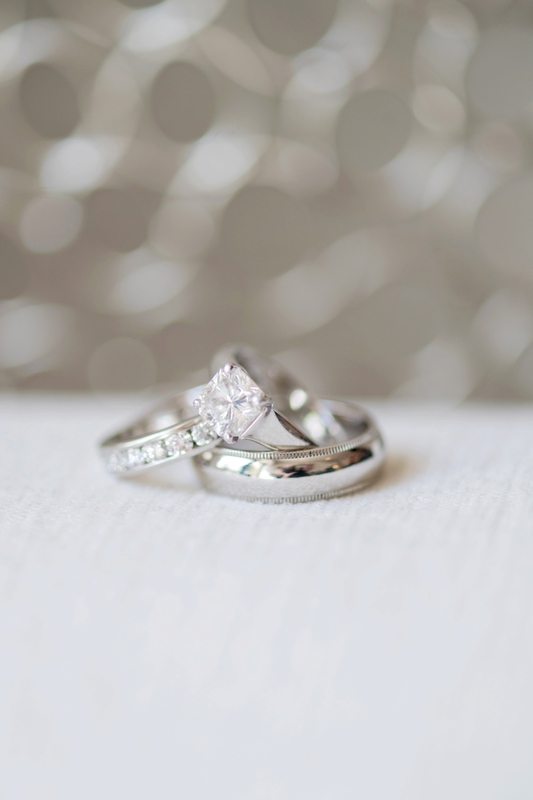 It’s really easy to get bogged down in the details. 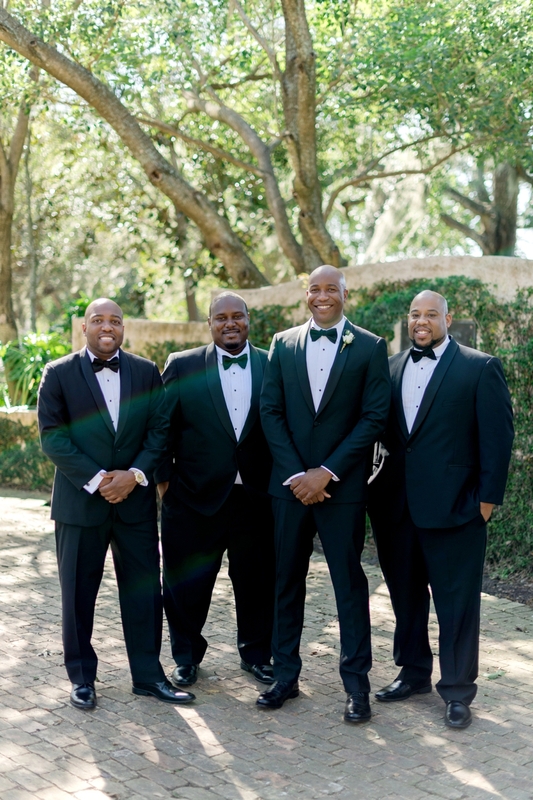 I had a general vision and an awesome group of vendors made it happen. 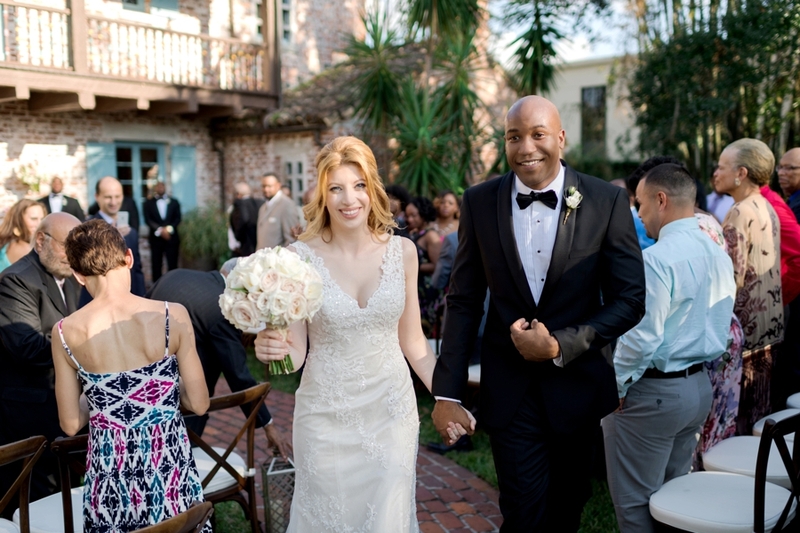 I highly recommend my super star group if planning a wedding in Central Florida.